For those who are interested in open source Network Attached Storage (NAS) options, the tech website InfoStor recently posted an article listing 58 different open source NAS available to choose from. This is an overwhelming number of choices, so today we have selected four of the best known, most highly publicized open source NAS available to compare and contrast for you: NAS4Free, FreeNAS, Amahi and Open Media Vault. NAS4Free is described as “an embedded Open Source NAS distribution based on FreeBSD (a Unix-like operating system). It supports sharing across multiple operating systems, including Windows, Apple, and [other] UNIX-like systems.” NAS4Free touts its benefits as including frequent updates and having a Full Web Management Interface (WebGUI). Some critics say the installation process is confusing and far less clear as compared to open source competitor FreeNAS, but still others say NAS4Free is based on a newer version of FreeBSD than FreeNAS, making it the better option of the two. In theory, the newer version of FreeBSD is more stable than previous versions, so NAS4Free should be more stable than FreeNAS; however, most users cannot tell any measurable difference between the two in terms of overall performance. NAS4Free has its own technical wiki as well as user forums where most users will find the tech support and tips they need. 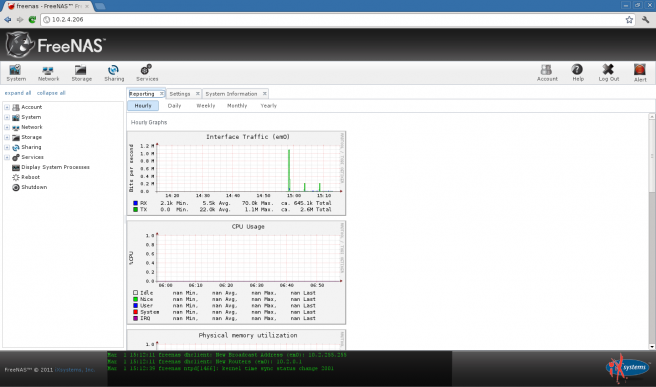 “FreeNAS is an operating system that can be installed on virtually any hardware platform to share computer data storage over a computer network. ‘Free’ as in ‘free and open source’ and ‘NAS’ as in ‘network-attached storage’, FreeNAS is the simplest way to create a centralized and easily-accessible home for your data. FreeNas features include but are not limited to local and remote backups, substantial data protection, encryption, the ability to take file system snapshots, simplified file sharing and a wide variety of plugins. Benefits of FreeNAS include its longevity (which equates to stability and trustworthiness), ample user documentation and easy to understand technical support, a familiar looking user interface (for a short learning curve), and, quite frankly, its professionalism. This is an open source NAS solution you won’t be ashamed to use. From this description you can see the emphasis is on managing personal multimedia assets as opposed to managing all of the data assets of an entire professional or scientific organization, so Amahi is geared towards non-technical types who want their network storage needs simplified. Amahi’s interfaces are graphics intensive GUIs oriented towards consumers. Features include VPN capability, easy backups, file sharing, calendars, apps, a search capability and more. Although Amahi is not particularly suited to the more sophisticated needs of businesses or professionals, it is a capable product for individuals, households and families who will appreciate its detailed instructions and easy on-screen commands, and as such Amahi fills a particular market need. OpenMediaVault describes itself as “the next generation network attached storage (NAS) solution based on Debian Linux. It contains services like SSH, (S)FTP, SMB/CIFS, DAAP media server, RSync, BitTorrent client and many more. Thanks to the modular design of the framework it can be enhanced via plugins. Although OpenMediaVault sounds promising from this description, it is not nearly as easy to use as Amahi when it comes to helping a complete novice set up his or her NAS for the first time. The support site is cluttered, and even though the organization behind this solution claims the interfaces are “simple and intuitive,” they will not be clear at all for individuals without a systems development background. OpenMediaVault is definitely better for Information Technology professionals to use as opposed to general consumers; however, IT personnel will likely be drawn more towards FreeNAS, which seems to be documented better and be far more organized in terms of its user support and interfaces. After reviewing these four offerings, we have concluded that the best open source NAS should really be separated into two categories: novice and professional. If you are an individual consumer with a limited computing background, go straight to Amahi which was designed with you in mind. If you are an Information Technology professional who is comfortable with installing and using open source solutions, you will most likely prefer FreeNAS, which is indeed as robust and as rock solid as its developers claim it is. Some of the other open source NAS might possibly offer more features than FreeNAS; however, FreeNAS seems far more stable, professional and organized than many of the other NAS options out there. Looking for NAS hardware? Check out latest deals of NAS systems in Amazon!